I came out of the womb obsessed with horses. At the age of 7, I was finally allowed to begin taking lessons. I've moved around a lot, and therefore, have ridden under many different instructors. The moving around has also given me the chance to work with so many different horses of all shapes, sizes, abilities, etc. I've worked at a few different barns in Virginia and New Hampshire, typically just doing barn chores (hay, grain, water, mucking stalls, turn out/in, etc. ), I've also taught some lessons and done some training and exercising. I'm an energetic, high spirited, hard working, loving, and caring individual. I'm incredibly adaptable, and very good at having a great attitude with absolutely everything I do. Horses are my life, I will do everything in my power to do right by them. I began riding when I was 7 years old. 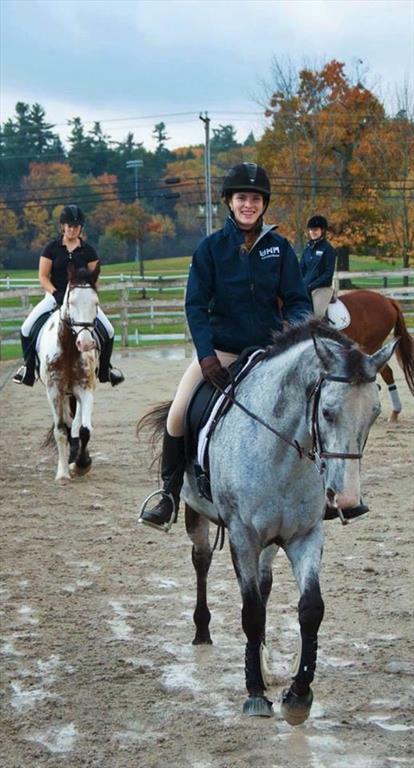 I started off riding hunt seat, and actually rode on a hunt seat team in high school. 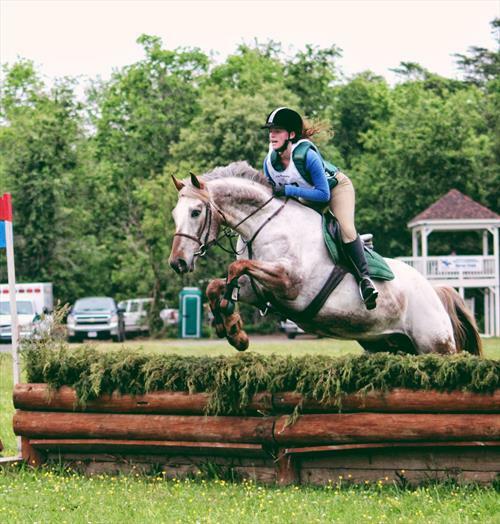 As I've grown, I've fallen in love with dressage and cross country, which are now my main passions. That said, I'm happy with any type of riding, as long as I can be around horses! I haven't done a whole lot of competing, just small schooling shows. 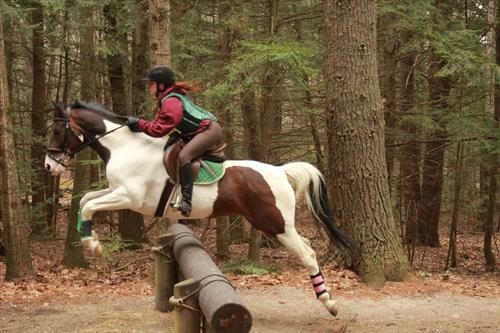 I also road on the Intercollegiate Dressage Team at the University of New Hampshire, and an inter-school hunt seat team my last year of high school.